UNITED STATES: The Missouri supreme court has ruled state regulators wrongly rejected a development permit for the Grain Belt Express high voltage transmission line. Developer Clean Line Energy’s $2.3 billion, 1,255-kilometre project could deliver about 4GW of wind power from western Kansas to Missouri, Illinois and Indiana. However, it has faced legal obstacles in Missouri and more recently in Illinois. In September 2017, the Missouri Public Service Commission (PSC) concluded it could not lawfully grant a permit for Grain Belt without the utility first obtaining consent from commissioners in all state counties crossed by the planned transmission line. It further ruled that Clean Line had failed to do this. The PSC cited a precedent in utility Ameren’s Illinois unit applying for another transmission line in Missouri, which "purports to require prior consent from each county affected by the proposed construction", according to supreme court documents. Clean Line appealed the decision in late 2017 and Missouri’s supreme court justices have ruled the PSC was wrong to rely on this judgement. The court reversed the PSC's ruling and returned the case back to the commission for a new one. 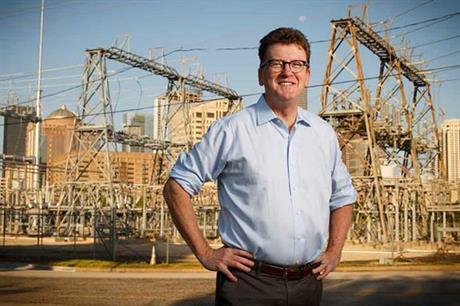 Clean Line Energy president Michael Skelly told Windpower Monthly: "We're obviously optimistic. It’s a good thing for Missouri because they are upholding the commission’s authority to approve the transmission line." He added: "We hope they don’t send us all the way back through the process again." While Clean Line Energy was waiting on a decision in Missouri, an appeals court in Illinois overturned that state’s approval, also. Skelly said in Illinois the utility would have to acquire ownership of some utility property and then re-apply for permission. Even with Clean Line’s latest victory in Missouri and Illinois, Skelly conceded it "will still be a few years before construction can start". The Grain Belt Express has been approved in Indiana. Clean Line is one of several private developers working on transmission lines aiming to incorporate wind power into the US’ piecemeal grid. Skelly admitted obtaining permission "one-by-one, state-by-state" is cumbersome, adding: "We think a change would be a great idea, but we don’t think it’s going to happen. "We have a fairly dysfunctional government at the moment so we are not holding our breath." Kansas has 5.1GW of installed wind power capacity, according to Windpower Intelligence, the research and data division of Windpower Monthly. Meanwhile, Illinois has 4.5GW, Indiana has 2.1GW, and Missouri has 959MW.